A home addition is when you build extra space onto your house (like building an extra room). Alternate terminologies: house addition, house extension, house expansion. If you want your remodel to go well, the best thing to do is make every single decision before work starts. A good Home addition contractors Toronto at Integrity Contracting can talk you through the list of situations that might come up on your job, but decisions about situations aren’t usually what cause delays. Even though it’s inevitable that you’ll change your mind about something on your project, know this: Every time you change your mind, it’ll result in a change order. Although the change may seem minor, there are always added costs — even if it’s only the time spent discussing the change. Scheduling can be affected too. Everyone working on the job needs to be informed to make sure everyone is on the same page. Everyone makes changes, and that’s ok, just be aware of the potential to disrupt and delay the job. If you find out that the work you wanted to do costs more than you expected or budgeted, you’re in good company. It’s almost unheard of that a person sets a realistic budget for a project. But don’t eat into your contingency to stretch the budget. If you follow rule number one and make every decision ahead of time, you can probably get away with a 5 percent contingency with a good Home addition contractor at Integrity Contracting. There are many methods a Home addition contractors Toronto can use to build an addition on your home: stick built method (frame the addition by hand on-site), pre-fabricated (frame the walls and floors off-site and deliver them to your house section by section), or modular (build the entire addition off-site and truck it to your home). At Integrity Contracting we can help you make the right decisions with our experts. Read more about our Home Additions Services. 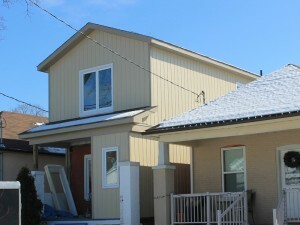 Contact us today for your Home Addition Contractors Toronto. Visit us on Google+.